The Liberty I Double Sided Plush Full Two Sided Plush Mattress by Golden Mattress Company at Rooms Furniture in the Houston, Sugar Land, Katy, Missouri City, Texas area. Product availability may vary. Contact us for the most current availability on this product. The Liberty I Plush, is a value priced two sided mattress. Supported with high profile 13 gauge steel coils, for a solid support. A custom Edgegaurd border provides a full use top surface and a firmer edge sit. 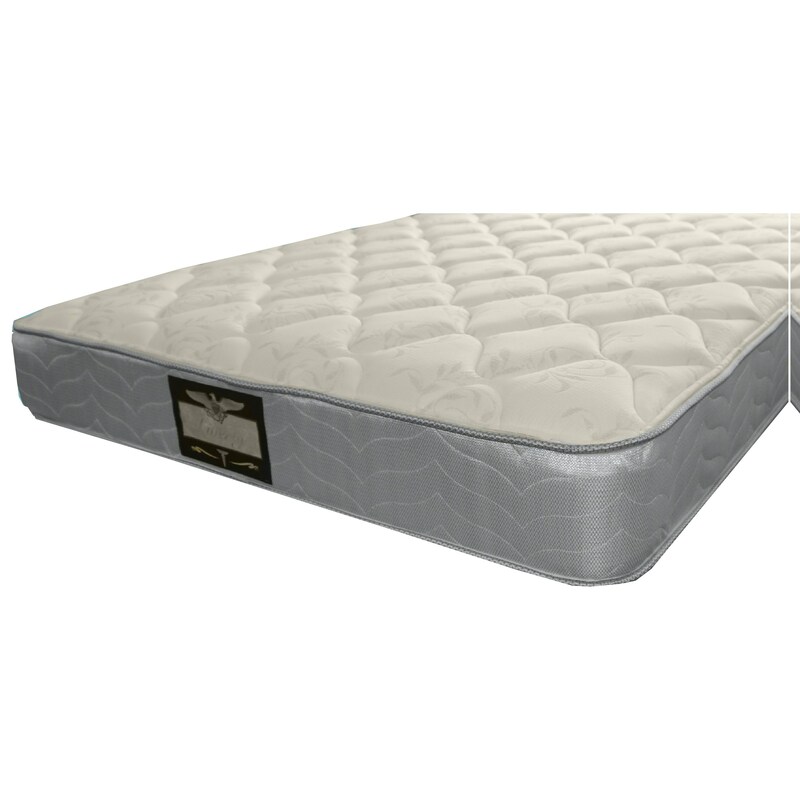 Super Soft Foam quilted into the cover, provides a plush sleep surface. A good mattress for a back sleeper. The Liberty I Double Sided Plush collection is a great option if you are looking for Mattresses in the Houston, Sugar Land, Katy, Missouri City, Texas area. Browse other items in the Liberty I Double Sided Plush collection from Rooms Furniture in the Houston, Sugar Land, Katy, Missouri City, Texas area.